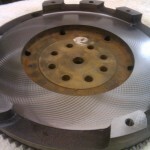 Flywheels which have been damaged through wear or overheating can be successfully recovered by re-grinding the damaged surfaces. H T Howard carry out this machining operation using a combination of the BERCO ST361 refacer and BERCO TR1 rotary table attachment. 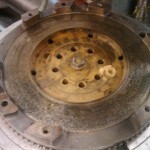 When would a Flywheel need Refacing? 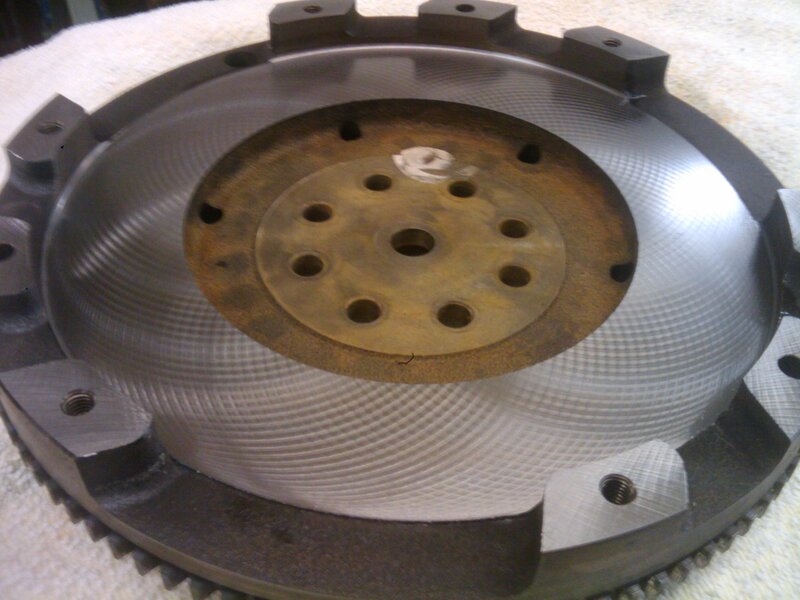 A worn or damaged flywheel will show signs of wear or damage on the surface where the clutch friction plate makes contact. 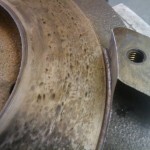 Obvious signs of damage include scoring or deeper grooves (made when the clutch disc has been slipping or is worn beyond its limit), and raised “hot spots” formed when the clutch surface has overheated. With the rotary table mounted on the refacing machine the flywheel is placed onto the rotary table having first checked that the mounting face is clean and true. This ensures that the flywheel will be clamped down squarely before machining begins. 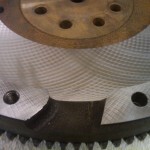 This is extremely important as a flywheel machined out of true will cause a bad clutch action once in operation. Once on the table, the flywheel can be centred using a dial gauge. This is to make sure that the flywheel runs concentrically with the grinding wheel during machining. Once centred the flywheel is clamped into position for the grinding operation to begin. 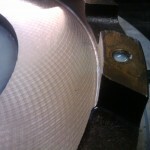 The wheel head is lowered until the grinding wheel is positioned slightly above the face to be machined. Once all safety guards are in place, both the grinding spindle and rotary table can be started. These rotate in opposite directions so that the grinding wheel cuts into the work piece rather than just trying to “skid” along over it. The coolant pump is switched on and the grinding wheel fed down towards the job via the graduated in-feed dial. 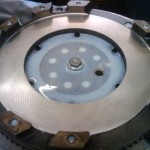 Once contact is made, the feed can be maintained manually, increasing the cut gradually until all the damage on the flywheel surface is removed. There are three basic types of flywheel commonly found in automotive engines and each requires a different machining method. Where the clutch disc and clutch cover are mounted on the same surface (and at the same height). This gives a single wider area which can be machined using the larger segmented grinding wheel as used for other major operations. 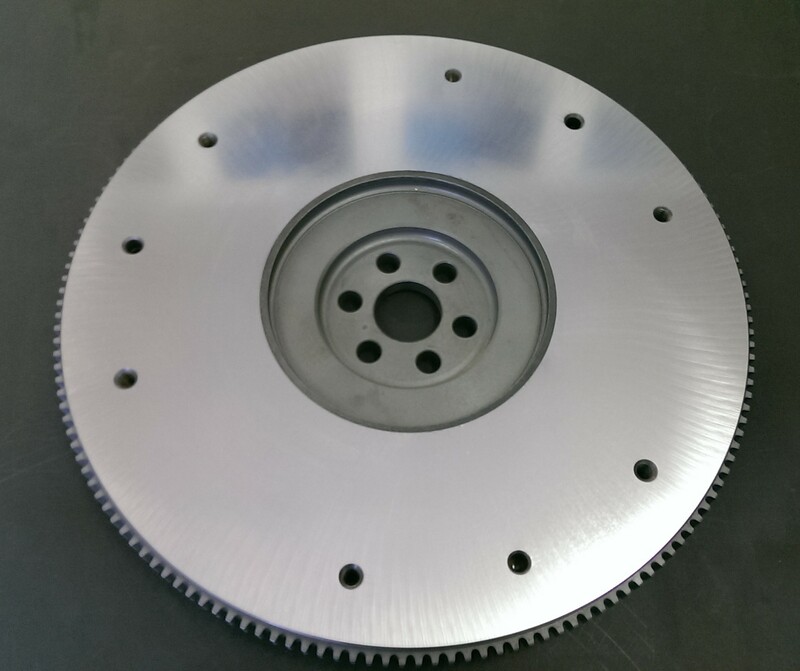 Where either, the clutch disc and clutch cover are mounted on the same surface (and at the same height) but are then shrouded by a raised peripheral lip or where the clutch face is on a lower surface height to the cover face. This gives the impression of the clutch disc being sunk into the flywheel. In either case, using the single large grinding wheel is not possible. A further attachment for mounting a smaller flared grinding wheel is required. This attachment mounts into the centre of the large grinding head and allows a smaller diameter tapered grinding wheel to be used. The taper on this wheel means that it is able to machine right up to any raised area on the flywheel. 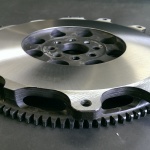 Where the clutch and cover surfaces are not at the same height both must be machined by exactly equal amounts. This is to maintain the tension of the cover against the disc once in operation and prevent any slipping. Where the clutch disc surface it at a raised position in relation to the cover surface. In this case, once again both surfaces must be machined equally for the reasons mentioned above. The grinding operation for these flywheel types is also carried out using the same tapered grinding wheel. 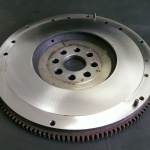 The worn raised clutch face is machined first before the area carrying the clutch cover is reduced to the original depth.